Who would be the ultimate Indian Game of Thrones queen? The only serious contenders for the throne at Raisina Hill are Cersei, Dany and Sansa. There are many things to love about Game of Thrones: meticulous plotting, brilliant world building, increasingly inventive ways to die. But what makes this fantasy series such a powerhouse, both in the literary world (in its guise as A Song of Ice and Fire) and on TV is its characters. Each of them a simmering, smouldering cauldron of ambition and hopes, hatreds and grievances, and (sometimes) homicide-fueling love, GRR Martin's creations have captured imaginations and provided the fodder for discussions and endless BuzzFeed quizzes both, surely the greatest marker of success in the digital age. It's always tempting to take these people out of context and try to see how they'd fit into scenarios other than the machinations and politicking of Westeros. The "Sorting" of GoT characters into Hogwarts houses is an example, but perhaps a more pressing one in the Indian context is this: which queen would rule over our sorely divided country, assuming she stepped out of the pages of a book or script and was given the chance at an Iron Throne among us? Let's review the candidates. Technically, the throne is still up for grabs, despite Cersei's fiery takeover last season. We know that her hold is tenuous, since she's alienated pretty much every last one of her allies apart from a twisted, disgraced Maester of the Citadel (Qyburn) and a zombie sadist (the Mountain). 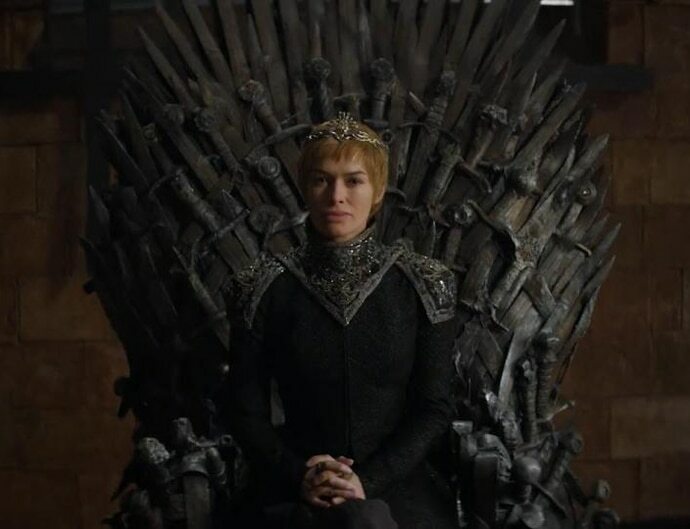 Even Jaime looks less than thrilled to see her sitting on Aegon's contested chair. Daenerys is on her way, navy and dragons in tow. Margaery is dead, but Sansa has scrambled into power at the side of her brother-though cousin is probably a better term-and Yara Greyjoy is proposing unconventional marriage alliances while also providing more conventional means of transport to a bemused Dany. Other candidates at this point (though long shots) are Arya Stark, Olenna Tyrell and Ellaria Sand, or one of her hissing daughters. In my opinion, the only serious contenders are Cersei, Dany and (let's be real, guys) Sansa. Each of them has qualities that would make them great for an Indian setting. They all have a history of families in power, they are all beautiful women (always a plus in our male and superificiality-dominated society), they are young, and have been in proximity to men who have held, if not continue to hold, the reins of government. 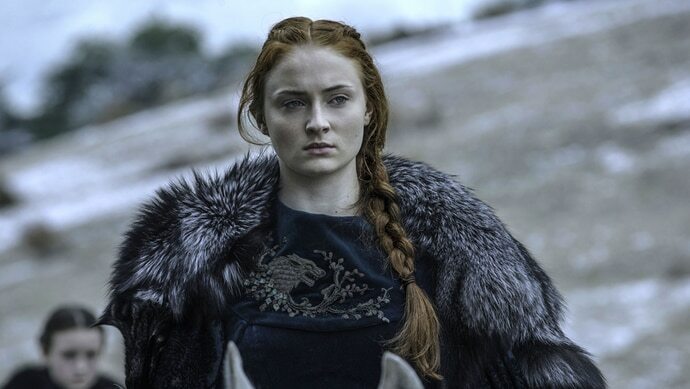 Sansa, who I think should be queen of everything, has the wronged woman thing going for her, which comes with bucketloads of sympathy. She's had horrible luck with marriages, lost about half her family (all of it, in the public perception), and has somehow come through it with her sanity intact. Sansa also has a powerful, rich ally in Littlefinger, who would definitely get the whole buying-votebanks-move down in a jiffy. However, she loses out in one regard: she's more of a behind the scenes operator, being trained by the master of such activity, and does not seem to inspire devotion in the manner that her blonde competitors do. Given time, she could probably play kingmaker in any country or world she chooses, but she's not quite there yet. 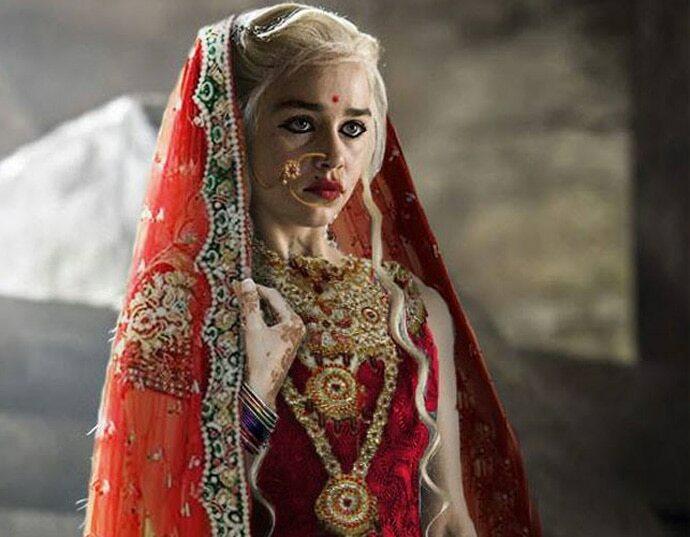 In my opinion, the only real answer for queen in India (but not Westeros, for reasons I might be tempted to go into some day) is Daenerys. She's got it all: looks, idealism, a sense of history and place, and most importantly, god-like powers. In a country where politics and religion are more obvious bedfellows than in many other places, where godmen and -women routinely gather thousands of followers and play a decisive role in elections, even going on to win some of them, Dany is a shoo-in for major power player. She inspires not just loyalty, but utter and complete worship, so much so that even Tyrion, a man more cynical and self aware than most of fellows, real or fictional, pledges himself to her with almost no qualms. Dany fulfils that key need of being a leader that people can believe in, and god knows how much a certain vocal majority in India love that, and are willing to do anything, from writing abuse online to killing their fellows, to keep a certain "standard" flying high. Her only problem? Dragons routinely kill and eat cows.